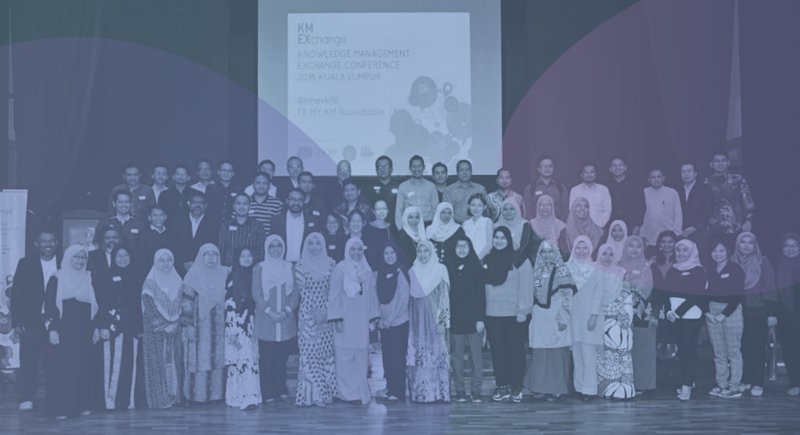 KM Exchange is a one-day conference created and organised by members of MY KM Roundtable. It was first run in April 2018. The KM Exchange conference is organised differently from presentation and paper-focused conferences. It is a not-for-profit conference organised by volunteers. Our goal is to maximise participant sharing, exploration and learning at the event. We use knowledge management facilitation techniques to bring in-depth explorations of innovative knowledge management practices and applications. ​We include small group case study sharing sessions, peer assists, fishbowl discussions and lessons learnt around common KM challenges and issues. Every stage of the KM journey, from beginner to mature, is an opportunity for sharing and learning. Come prepared to participate actively, network, build your connections and share with KM colleagues in other organisations. Knowledge management practitioners, records managers and information managers, organisation development practitioners, HR professionals, intranet managers, IT managers tasked with knowledge and information management responsibilities, digital transformation and IR 4.0 teams, and individuals who are interested to kickstart KM in their organisation.